The year 2017 heralds the Western Sahara issue will take a different course both at the level of the UN, as Portuguese Antonio Guterres will be at the helm as of January, and at regional and continental level with the imminent return of Morocco to the African Union (AU). At the UN, it is not only the position of Secretary General that will be handed over by Ban Ki-Moon to the former Portuguese Prime Minister, but the whole working methods of the world body that would change. Guterres, also a former UN High Commissioner for Refugees (UNHCR), is well acquainted with the Sahara issue and the history of the Tindouf camps. 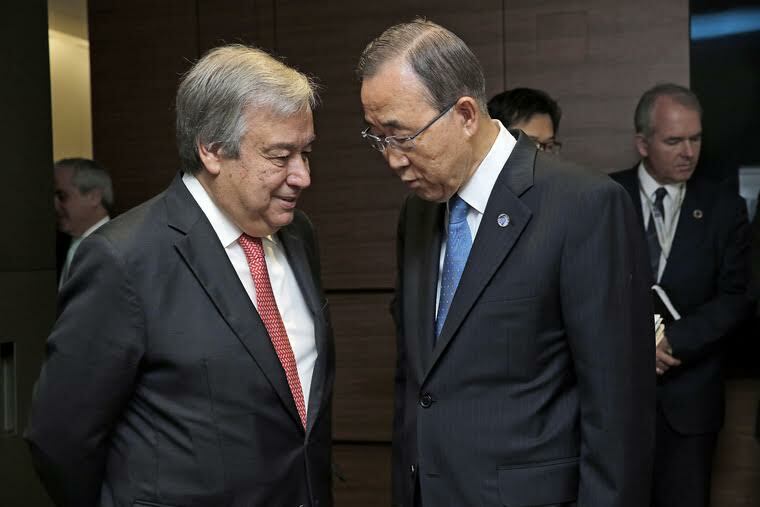 He would surely dismiss the legacy of his predecessor, Ban Ki-Moon, who has completely failed to find a consensual solution to the longstanding Sahara conflict. According to UN sources in New York, it is not excluded that the new Secretary-General will appoint, immediately after taking office, a new personal envoy for the Sahara to replace the American diplomat Christopher Ross. Ross’s so many diplomatic shuttles in the region did not advance by one iota the Sahara issue, landlocked since his nomination in January 2009. Worse than that, Ross is said to have even influenced Ban KI-Moon in favor of the Polisario’s separatist theses, a cause that the Algerian regime has high on its foreign policy agenda. As an evidence to this influence, observers recall the UN chief’s missteps during his trip to the Tindouf camps in March 2016. Ban Ki-moon had then clumsily used the term “occupation” when referring to Morocco’s presence in its southern provinces, and had thus blatantly violated the principle of neutrality he was supposed to respect as Secretary-General of the United Nations. According to many Western sources, the political and economic crises looming on Algeria, the changes at the helm of the UN, the appointment of a new president of the African Commission and the expected return of Morocco to the AU are all events predicting an imminent twist in the Sahara issue that would be more favorable to Morocco than to its opponents.